10 can’t-miss restaurants in Charleston. Opens in a new window. Where to find Frederick hotels near an airport? Where can I find hotels in Frederick that are near tourist attractions? Apartment and hotel options are in abundance in Frederick. There are no less than 21 hotel and apartment options within 0.1 kilometres (0.06 miles) of Frederick's downtown on Expedia's comprehensive booking pages. Take in the sights close to the center of Frederick. Accommodations in the area include Hampton Inn & Suites Frederick-Fort Detrick and Comfort Inn Red Horse. Expedia fully appreciate that all travelers possess varying requirements and budgets. If you're looking for somewhere to base yourself at the budget end of the range, Frederick features some great options. 5 kilometres (3 miles) away from Frederick's heart is the Mainstay Suites Frederick. 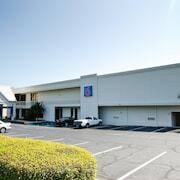 The Best Western Westminster Catering & Conference Center is only 40 kilometres (24 miles) away. 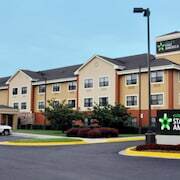 Additional lower-cost accommodation options include the Country Inn & Suites By Carlson, Frederick, MD and the Extended Stay America Frederick - Westview Drive. 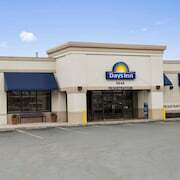 The TownePlace Suites by Marriott Frederick is situated 5 kilometres (3 miles) from the main part of Frederick. Another accommodation option is the Residence Inn by Marriott Frederick, which is located 4 kilometres (3 miles) away. Another option is to make a booking at the Fairfield Inn & Suites by Marriott Frederick or the Courtyard by Marriott Frederick. Why not see some more of the mountains that are found in Western Maryland? Choose to spend time in other parts of Western Maryland. Go cross-country skiing and rock climbing or visit the region's visitor attractions. Suitable hotel options are available. The closest places to spend the night in Western Maryland include Hagerstown and Knoxville. Hagerstown is 35 kilometres (22 miles) to the northwest of Frederick, while Knoxville is 20 kilometres (14 miles) to the west. 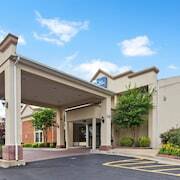 Hagerstown hotels include the Hampton Inn Hagerstown - Maugansville and Hampton Inn Hagerstown. The Knights Inn Knoxville Harpers Ferry and Oak Tree Inn Brunswick are the accommodation options in Knoxville. If watching sport is your passion, make the time to visit Nationals Park, which is 70 kilometres (43 miles) to the southeast of Frederick. Those wishing to sleep near to the sporting action can make a choice from the The Jefferson, Washington, DC or the Marriott Marquis Washington, DC. Hagerstown Regional Airport is a convenient airport, and can be found 40 kilometres (26 miles) away from Frederick. 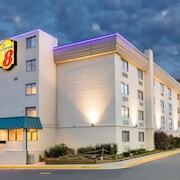 Nearby accommodation options include Microtel Inn & Suites by Wyndham Hagerstown and State Line Inn. What are the most popular Frederick hotels? Are there hotels in other cities near Frederick? What other types of accommodations are available in Frederick? Explore Frederick with Expedia.ca’s Travel Guides to find the best flights, cars, holiday packages and more!